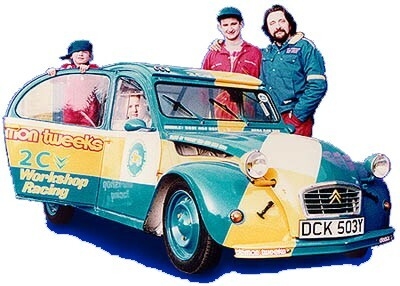 Hi, my name is Bill Gale, I'm a Citroen 2CV specialist with 25 years experience of 'A' series models. The aim is to provide honest quality work at reasonable prices. A complete range of services is on hand, as well as an invitation to any 2CV owner or prospective owner to telephone or 'drop-in' for a chat to discuss servicing, repairs, body jobs, parts supply, complete renovation or restoration, or 2CV sales (buying and selling), in fact anything 2CV! we hope you enjoyed your visit please come again.